At Citroën we understand that as a business you have specific requirements, not just in terms of vehicles, but also the people you will deal with and the additional business specific services that running a fleet, large or small, demands. That's why we are committed to providing you with a business class experience from sales to service. • Multi award winning range of cars and vans with 153 vehicles in the key sub 140g/km. Take a look at our tax calculator to see the impact of low CO2 emissions. • Electric Vehicles. Citroën are one of the first manufacturers to be able to offer you an all Electric vehicle solution with the recent introduction of the Citroën C-Zero reinforcing the brands reputation for innovation. • For fleets of over 50 vehicles we have a dedicated team who have a huge amount of experience and knowledge to help you make an appropriate choice of vehicle or finance. We also have a dedicated Fleet Aftersales team based at our head office that can look after your vehicles in life ensuring that you enjoy trouble free motoring. • For fleets under 50 vehicles we have a network of 80 Business Centres offering nationwide coverage with dedicated sales and after sales staff dedicated to serving the needs of business users. • Whatever size your business, Citroën Contract motoring can offer a range of services including flexible vehicle finance, insurance protection and maintenance packages. Through our nationwide network of Business Centres, we can bring you a service tailored to your business needs. Each Business Centre has specially trained sales people dedicated to business customers. They have comprehensive displays of our van range and a business focused after-sales operation. Citroën Business Centres offer a wide range of while-you-wait service operations, extended opening hours and appointments guaranteed within 72 hours and a dedicated phone number and contact. Citroën Business Centres provide personalised solutions for business and professional operators and our teams welcome you, whatever the size of your business. For large fleets with over 50 vehicles, we have a team of area sales managers supported by a dedicated fleet after sales team. For fleets under 50 units, our specialist Business Centre dealer network offers more local support. National Fleet support is provided through a team of 10 Area Managers who can offer a wide range of experience and knowledge to help you make the most appropriate choice in the management of your fleet. Please visit the meet the fleet team page for full details. To ensure that Contract Hire and Leasing companies are well informed on what Citroën can offer, we also have a dedicated team of 5 Leasing and Rental managers. This specialist team ensure that the contract hire rates for our vehicles are competitive and that there is good product knowledge in the contract hire companies. Support for smaller fleets of less than 50 vehicles is provided through the entire Citroën dealer network with more specialised support being provided through our network of 90 Business Centres. Please visit our Business Centres page to find out more about our Business Centre network. Our dedicated team cover the entire country, so to find your local contact just look for your postcode below. 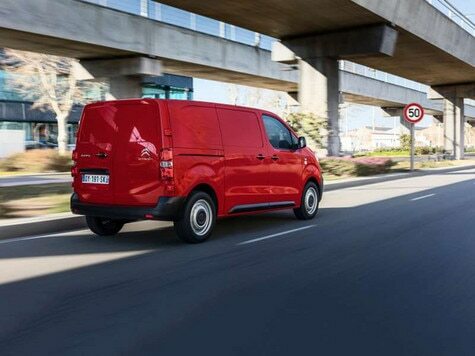 Alternatively for more information you can call us on 08457 940 940 or email fleet@citroenconnect.co.uk and we will be happy to put you in touch with your local Area Fleet Manager. All businesses large, and small, are welcome to talk to us direct at Citroën Fleet Connect. We understand the UK fleet market and are keen to help you. We are geared up to provide you with practical information on all aspects of our product range.